Love sharing my passion for cinema. Tastes tend toward mainstream with an occasional dabble in arthouse and classics. Follow me on Twitter @melbmovieguy. Hollywood continues its love affair with comic book characters, in particular, DC's Superman; and its fascination with the re-booting/ re-imagining of just about any cinematic and TV franchise one cares to imagine (I'm waiting with baited breath for someone to re-boot The Love Boat... or maybe not)! Director Zack Snyder takes a stab at the iconic character, with the story by Christopher Nolan (responsible for the very successful recent re-boot of DC's other iconic character, Batman) and David S. Goyer; screenplay by David S. Goyer; and a very cohesive, darkly psychological version of the 75 year old character it is. 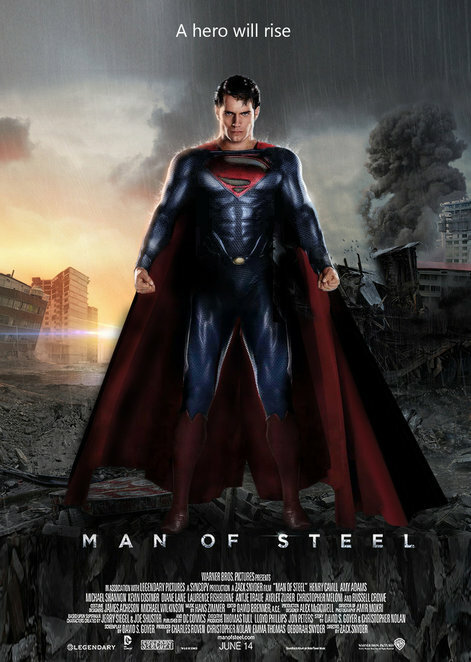 This version of Superman/ Clark Kent/ Kal-El focuses less on the fantastic elements of the mythology (aside from the inherent messianic aspects of the character), instead zeroing in on the more human aspects: exploring the feelings of isolation and confusion experienced by Clark (Henry Cavill), as he wrestles with the knowledge that not only is he the adopted son of Jonathan and Martha Kent (Kevin Costner and Diane Lane), but also not native to the planet Earth, indigenous to the extinct planet of Krypton. Whilst the genes which enable him to place the word `super' in front of `man' come from Kypton, Clark's sense of right and wrong, his sense of compassion and responsibility, are a result of the love and guidance of the Kents. The story is a familiar one anyone reasonably well versed in comic lore knows: baby Kal-El is sent to Earth by his parents just before the destruction of his doomed planet Krypton, where he is discovered by the Kents, who call him Clark, and raise him as their own. Earth's young yellow sun has imbued Clark's body with super strength and invulnerability; heightened his senses; turned his eyes into heat weapons; and its lighter gravity has enabled him to fly. The question we find the adult Clark struggling with is what to do with these great gifts? Jonathan Kent, believing that humanity would be unable to cope with the implications raised by Clark's existence, has cautioned him from a young age to keep his existence a secret, yet Clark just can't stop himself: when someone is in trouble, he is compelled to help. Drawn to a secret government instillation, where the military are investigating a UFO deep within the Canadian ice shelf, Clark encounters Lois Lane (Amy Adams), and continues his pattern of helping those in danger. This encounter starts Lois on a quest to track down her mystery saviour, whilst Clark gets an education in his origin, from the computer memory of his long dead father, Jor-El (Russell Crowe). 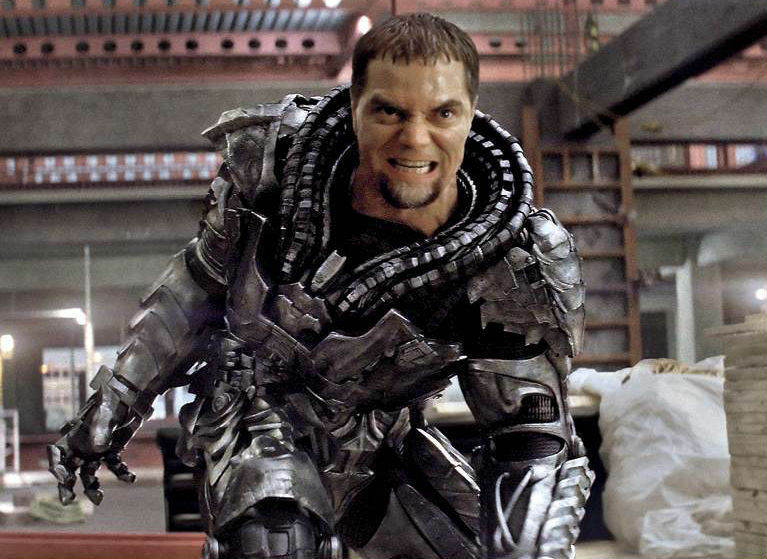 Things come to a head when other survivors from Krypton, led by General Zod (Michael Shannon), make their presence known, and demand humanity turn over the fugitive Kal. Clark must then make a decision: does he surrender himself to his people, in order to save his adopted planet; or does he stand with humanity, and fight this new threat? The visual style of this film is very comic-booky in feel (many of the shots reminded me of the excellent graphic novel series Kingdom Come by Mark Waid and Alex Ross), and the casting is simply brilliant: all of the actors bring something to the table, and not one seems out-of-place. 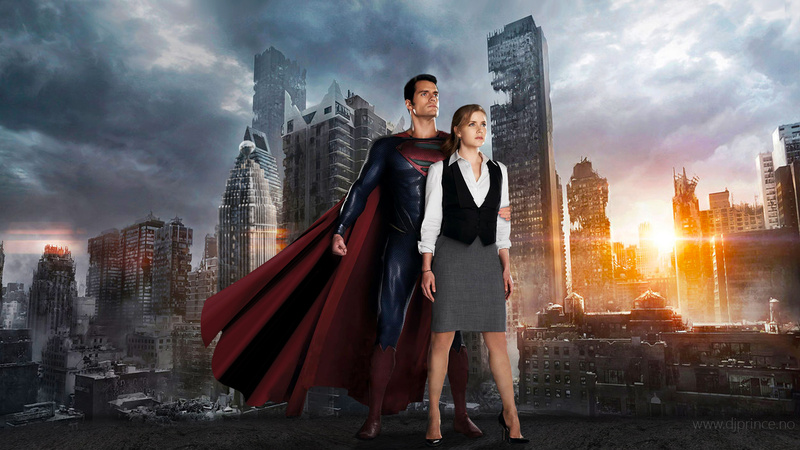 Of particular note are Henry Cavill (this was a role he seems born to play; looking at him in costume, he IS Superman, not just an actor playing the character); Amy Adams (showing that a strong female character can be tough and intelligent, without it diminishing her femininity, and yet, being a woman is not the most interesting aspect of the person); Michael Shannon (giving Zod an intensity and singularity of vision which was compelling yet chilling at the same time); Russell Crowe (lending Jor-El a sense of gravitas); Diane Lane and Kevin Costner (giving Superman his moral backbone, and keeping him firmly connected to the human race). Another seamless element is the costume design: the choices made here, especially with the Krypton costumes, brilliantly explain why Superman dresses as he does: everyone on Krypton wears a body stocking under garment with their family crest on the chest, and capes are in; in a big way. My only complaint is that the action sequences were at times too grand in scale, too over-the-top; they were nearly oppressive in their intensity. To my mind, Man of Steel's true strength lay not in the flashiness of its special effects, but in the intimate moments of connection with the characters: Clark's sense of isolation as he comes to terms with his alien heritage; Martha's fears of losing her son; Jonathan making the ultimate sacrifice to protect his son's identity, even though they had been engaged in a rancorous argument mere moments prior; Lois comforting Superman in his despair at the lengths he had to go to, in order to save the Earth; these were the moments which brought tears to my eyes. Why? For anyone who, as a kid, tied a sheet around their neck as a cape, and ran around the back yard pretending to fly!